Inspired and whimsical! 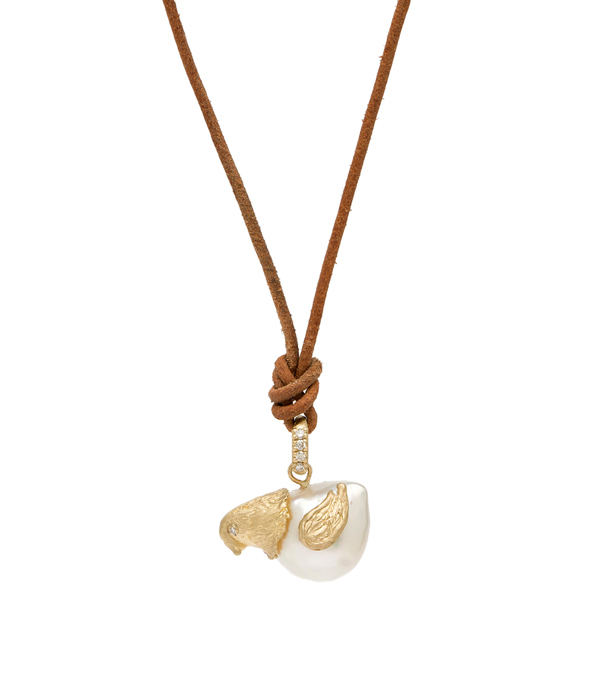 Influenced by fantastical antique pearls, cleverly crafted into a jeweled animal designs. 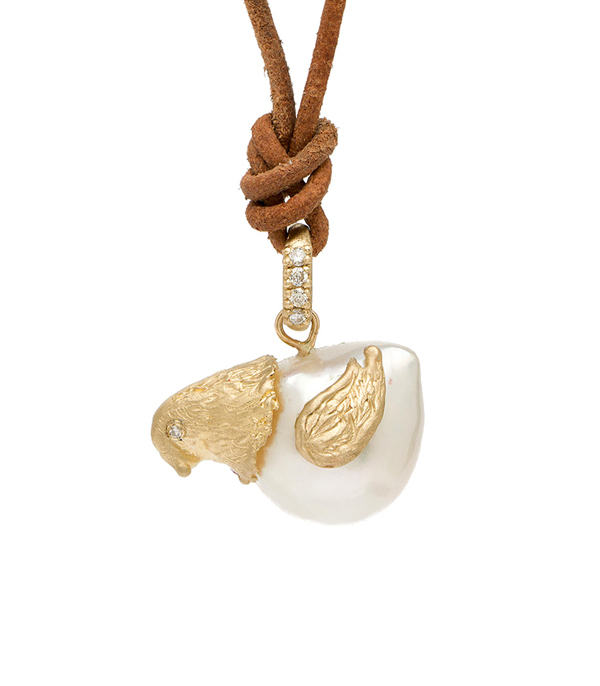 We started with a baroque South Sea Pearl and created some small gold wings and a golden bird head, detailed with diamond set eyes, resulting in a truly unique gem of a pendant!